ATLANTA — Ariadne Partlow dreamed of graduating Spelman College and moving on to medical school, but instead of studying biology this semester, she worked at a fast-food Chinese restaurant. The Jackson, Tenn., native was among thousands of students who unexpectedly either had to stay at home, transfer to a less expensive school or find new money when the U.S. Department of Education quietly changed how it evaluated the credit of parents applying for a federal PLUS loan. The greater scrutiny affected families and schools everywhere, but historically black colleges were hit particularly hard because so many of their students come from low-income families dependent on PLUS loans. In recent years, as many as a third of all black college graduates had used PLUS loans, a proportion twice as high as the rate for all schools, according to one estimate. “All I’ve known is school, so this is weird not being in school all the time,” said Partlow, who would’ve been a junior this year at historically black Spelman in Atlanta. Partlow attended Spelman last spring with the help of a PLUS loan, but her application for the fall was rejected. The Education Department said the changes were made as part of an effort to more closely align government lending programs with industry standards and decrease default rates. Before the changes, the loan program looked at whether an applicant had an adverse credit history for an account in the past 90 days. Now the program looks for delinquent accounts during the last five years. The examination includes foreclosures, bankruptcies, wage garnishments, repossessions and tax liens, in addition to past due payments on bills such as utilities. While many colleges worried about the denials, others said the changes prevented lower-income families from being saddled with debt they can’t afford. “There are parents getting these loans that really shouldn’t be getting these loans. They just don’t have the money,” said Rachel Fishman, an education policy analyst for the nonpartisan New America Foundation think tank in Washington. The policy change was made in October 2011, but most students and schools were unaware of it until this past summer when their loans were unexpectedly rejected. PLUS loans are popular because they don’t have a limit and can cover tuition, fees, books as well as room and board and other expenses set by a school. Triton Brown, a Milwaukee native who is a freshman at Xavier University of Louisiana, said his family was counting on a PLUS loan. His mother’s application was rejected after he had been accepted the previous semester. “I knew that I had to figure something out in a very short period of time,” he said. Brown is working up to 35 hours a week as a busboy and has an on-campus office job to pay off his tuition — all while taking a full course load. The tougher loan standards led to the rejection rate doubling at all schools, according to an estimate done for the Chronicle of Higher Education by Mark Kantrowitz, a leading financial aid expert and the publisher of FinAid.org. Kantrowitz looked at the National Postsecondary Student Aid Study statistics done by the Education Department. He also crunched the numbers for The Associated Press and found that nationwide, there were 790,600 PLUS loans for students in 2007-2008, with the average for each student at about $10,000. Of those, 30,300 were for students enrolled at an HBCU. “If they wanted to tighten eligibility for the PLUS loan, this isn’t the best way to tighten eligibility. Whether someone had a delinquency five years ago has no bearing on whether they’re going to default on the loan now,” Kantrowitz said. The Education Department said it could not provide more recent figures or say how many people were denied PLUS loans after the changes. Kantrowitz said a better option for determining someone’s likelihood of defaulting would include examining debt to income ratios, credit scores and future ability to pay. In the 2007-2008 school year, about 15 percent of all undergraduate students receiving a degree had a PLUS loan at some point in their college career. Among HBCUs, that figure was 33 percent, according to Kantrowitz. Partlow said she and her mother were able to scrape together about $11,000 to pay for part of her education at Spelman, a private college, but the PLUS loan was needed to cover roughly $28,000 more. She said the denial letter her mother — a single mom working as a medical assistant — got didn’t say why the loan was rejected. But she believes it had to do with the new standards. A survey of member institutions by the National Association for Equal Opportunity in Higher Education, a group representing predominantly black colleges, said the families of more than 14,000 students at historically black colleges were denied PLUS loans last fall. While private colleges tend to be the most expensive, the group’s survey showed that public institutions were also affected. 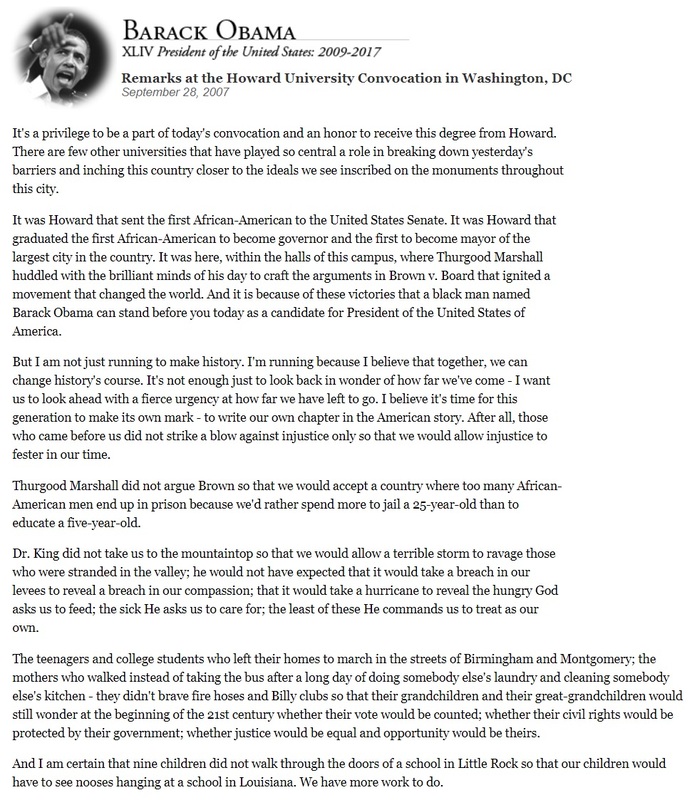 “It was a crisis situation for all of us,” said William R. Harvey, president of Hampton University, a private school in Hampton, Va.
Harvey serves on President Barack Obama’s advisory board on historically black colleges and helped spearhead meetings with Education Secretary Arne Duncan this fall to address the problem. Since then, the Education Department has effectively agreed to let students who were previously enrolled with the help of a PLUS loan appeal the decision and qualify for it again if the denial was caused by the new criteria, said department spokesman Daren Briscoe. Colleges have been scrambling, with some success for the spring semester, to contact students and their families to try to get them to re-enroll. 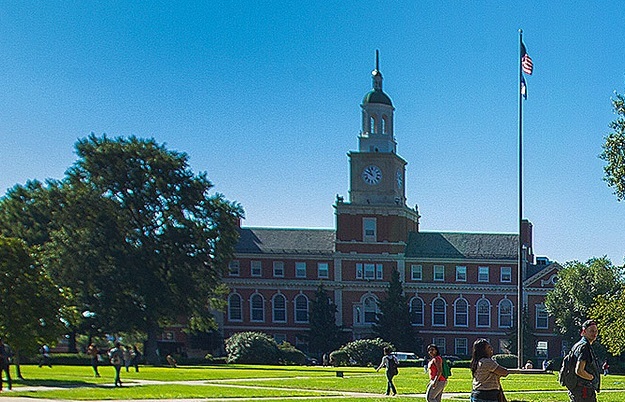 At Howard University in Washington, D.C., nearly 600 students have had their PLUS loan appeals approved for last fall and spring semesters. Still, that doesn’t solve the problem for incoming freshman and future students, and the decline in enrollment already resulted in devastating blows to some cash-strapped schools. At Clark Atlanta University, 500 students were not able to enroll last fall because their parents were denied PLUS loans, resulting in an $8 million budget hole, according to school president Carlton Brown. That means students and faculty aren’t traveling as much, less scholarship money is available and the school can’t apply for grants that require matching money, Brown said. Morehouse College says it will furlough faculty and staff and make other budget cuts because of a drop in enrollment.The Atlanta college is teaching 2,360 students — about 125 fewer than projected, Interim Provost Willis Sheftall said Thursday. He attributed the drop to the sluggish economy and changes to a federal loan program that has led to enrollment declines at historically black colleges around the country. Normally about 8 percent of Morehouse students who pay a deposit to attend don’t enroll, but it doubled to 16 percent this year, in part because of the new loan rules. Colleges across the country have reported an increase in loan denials after the U.S. Department of Education tightened standards for the Parent Loan for Undergraduate Students. Prospective borrowers can’t have any defaults, foreclosures, bankruptcies, tax liens or wage garnishments within the past five years. The department has said the tighter regulations protect taxpayer money and prevent people from accumulating debt they can’t afford. Locally, Clark Atlanta University and Spelman College also say enrollment dropped in part because of the new rules. Loan denials at Clark Atlanta increased from 25 percent last year to more than 65 percent this year, President Carlton Brown said in a statement. The university’s enrollment dropped by 443 students to 3,400 this fall. As a result the school has cut travel and other spending, and all requests to fill positions will be vetted through the Enrollment Crisis Committee, Brown wrote. Spelman’s fall enrollment dropped by a dozen students to 2,074 this fall. That’s above the school’s 2,050 target and the college doesn’t expect to adjust its budget. Spelman provided additional scholarships to students who were denied the federal loan. Morehouse plans to increase fundraising efforts so it can offer more scholarships and grants to students whose families are denied a PLUS loan, Sheftall said.